I knew nothing about this book or its author before today when I received a copy via email. I am so glad I opened it and began to read. 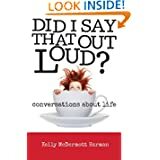 Similar to the best selling " Sh*t my Dad says " by Justin Halpern, this is a wonderful little book full of endearing, funny and heartwarming stories involving Kelly, her family, close friends and her soulmate, Bob. 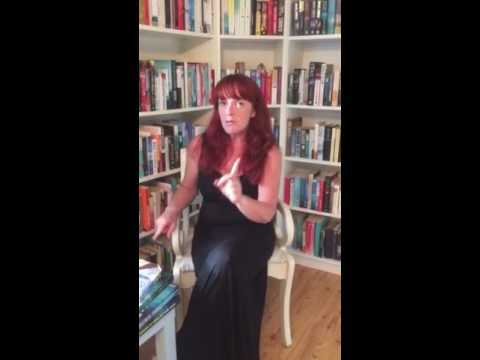 Some stories are just plain mad ( my favourite kind of stories, coming from a madhouse ) and some are just bordering on dramatic without being sorrowful or boring. I loved them all and wish I had a hard copy to pull out of my handbag and make my friends read while we have coffee. I bet they would say " just one more before I give it back ". Thank God for the internet, as I would never had come across this book without the wonders of Facebook and Twitter as Kelly is Canadian based and I'm in Ireland. Best of luck to Kelly and her family! Books to review this week.